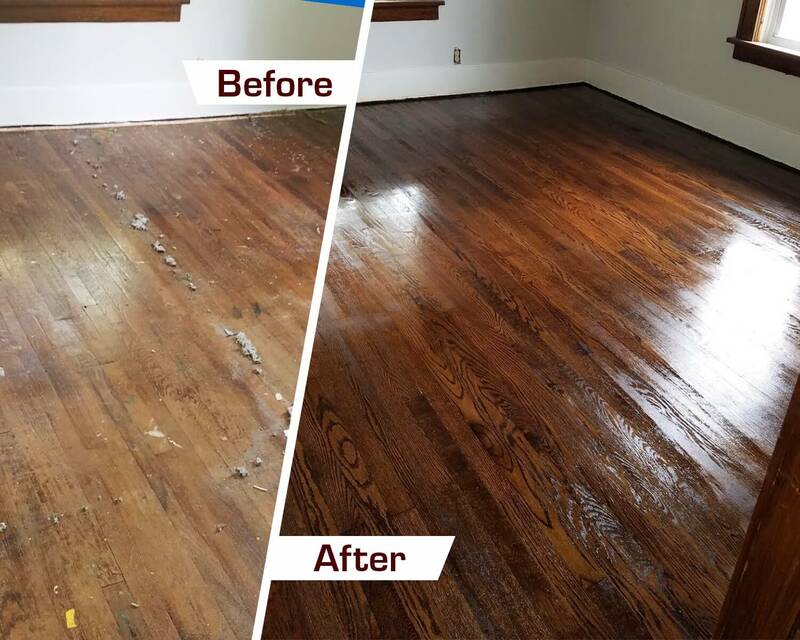 Are you ready to get those hardwood floors looking new again? Fabulous Floors Cleveland provides hardwood floor refinishing in the Lyndhurst area! Years of experiences have helped us establish an unmatched technique and excellent customer service. If your floors are fading or have scratches and dings, give us a call. We’re confident you will quickly see why our customers love the service we provide. Feel free to read our testimonials page to hear what people in the area are saying about us. Call your friends at Fabulous Floors Cleveland and we’ll help you have the hardwood floors you’ve always dreamed of! Our process has been proven by years of experience in the industry! We always work quickly and effectively, finishing most jobs in just a day or two. In addition, we are the most affordable in the industry and don’t leave your home in a mess while we work. We start by removing the existing carpet by removing the bond between the carpet and the hardwood floors. Then we sand away scratches and other damage with our powerful sanding machine. Once the sanding is complete, we move on to staining your hardwood floors. We have over 20 elegant stain colors for you to choose from. Once your floors are stained, we apply a polyurethane coat to make your floors shine and protect them against future damage. We are confident that you will love your hardwood floors again after our service is complete! Our highly trained professionals will earn your respect and trust, answer your questions, and help you feel comfortable as they work. At Fabulous Floors Cleveland, we are also committed to caring for the environment. We are Greenguard certified, meaning our services and products meet strict environmental standards. Give us a call today so we can help reveal the beautiful hardwood floors you’ve always wanted!